Special MarketDrivenEDU group discount, lowest price available for this conference. $150 Expiring Soon – New Business Partners Are Yours For The Taking! • Are Mortgage Sales Ready for a Tesla Moment? 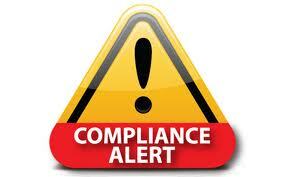 Compliance Alert: Expand, Gigats, Softrock & ALL vendors using their data! PLAINTIFF 4. The FTC is an independent agency of the United States Government created by statute. 15 U.S.C. §§ 41-58. The FTC enforces Section 5(a) of the FTC Act, 15 U.S.C. § 45(a), which prohibits unfair or deceptive acts or practices in or affecting commerce. 5. The FTC is authorized to initiate federal district court proceedings, by its own attorneys, to enjoin violations of the FTC Act and to secure such equitable relief as may be appropriate in each case, including rescission or reformation of contracts, restitution, and the disgorgement ofill-gotten monies. 15 U.S.C. §§ 53(b) and 56(a)(2)(A). DEFENDANTS 6. Defendant Expand, Inc. (“Expand”), also doing business as Gigats, also doing business as Education Match, also doing business as SoftRock, Inc., is an Illinois corporation with its principal place of business in Orlando, FL. Expand transacts or has transacted business in this district and throughout the United States. 7. Defendant Ayman A. Difrawi, also known as Alec Difrawi, also known as Ayman El-Difrawi, is the founder, self-described ·’quarterback,” chief executive officer, and a director of Expand. At all times material to this Complaint, acting alone or in concert with others, he has formulated, directed, controlled, had the authority to control, or participated in the acts and practices of Expand, including the acts and practices set forth in this Complaint. Defendant Difrawi resides in this district and, in connection with the matters alleged herein, transacts or has transacted business in this district and throughout the United States. Watch To See http://bit.ly/1n9EubF Why Thousands Of Your Peers Feel Confident That Attending LeadsCon Will Impact Their Bottom Line In A MAJOR WAY! Join the list of vertical media professionals that will convene in Las Vegas to conduct business and cultivate new relationships. Last Chance for Leadscon NY Discount! Subject: Facebook Announces Their Presence At LeadsCon NY– Discount Savings Expire Friday! More Content, More Networking, More Business Opportunities & More Reasons Why You Can’t Afford To Miss Out! These are the final hours to SAVE YOURSELF HUNDREDS and take advantage of the $795 Discount Rate for LeadsCon New York (August 24-26, The New York Hilton). Beginning FRIDAY, this offer will expire. Book today using THIS LINK: http://bit.ly/1HceSDU to ensure you don’t pay more than you need to. Watch this video (http://bit.ly/1CST5iT ) to see why thousands of your peers feel confident that attending LeadsCon will impact their bottom line in a BIG WAY! Lock in your savings by using THIS LINK: http://bit.ly/1HceSDU . Join the list of vertical media professionals that will convene in NYC to conduct business and cultivate new relationships. 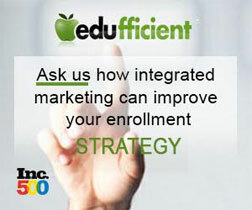 It’s that time, 2015 Market Driven Education Industry Group’s 5th annual survey, in conjunction with Edufficient, one of the fasting growing EDU-specific Performance Marketing Agencies. All School contact information (school name, your name, phone & email) is private and will not be distributed. Only vendor info will be made available. Velocify and Enrollment Resources recently conducted a new “secret shopper” study of enrollment tactics at non-profit and private sector schools. The results detail how each group’s inquiry response strategy and user experiences compare and will provide you insights on who your real competition is. 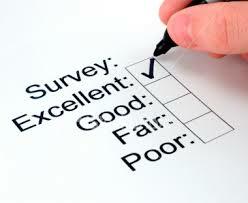 You’ll also question long-held beliefs about the admissions performance of your competitors. 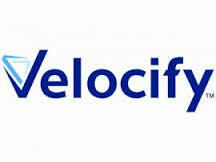 Download the report at www.Velocify.com/LinkedIn-MDEI. I reviewed this in detail and found in interesting & worthwhile. WITH LEADSCON LAS VEGAS JUST AROUND THE CORNER, THERE HAS NEVER BEEN A BETTER TIME TO REGISTER AND JOIN 3,000 OF THE MOST PROMINENT NAMES IN PERFORMANCE MARKETING AT THE DEFINITIVE CONFERENCE FOR VERTICAL MEDIA AND DIRECT RESPONSE MARKETING. SIGN UP NOW (https://www.customreg.com/generalreg28/default.asp?show=ai_lv_leadscon_032015&IDevent1=1&S4=FF1 ) USE VIP Code: marketdrivenedu AND SAVE AN ADDITIONAL $100. PRICING INCREASES from $695 to $995 AT MIDNIGHT EST THIS FRIDAY JANUARY 9th. At LeadsCon, we’re constantly striving to provide you with content and resources that will make an impact on your business. We’re excited to announce that one of Google’s brightest performance marketing minds has joined our incredible speaker lineup in Las Vegas! To that end, we’d like to highlight Nicolas’s session which will provide you with unique and groundbreaking behind the scenes insights surrounding the lessons learned from some of Google’s top advertisers. In today’s digitally fragmented world, marketers thrive on innovation and finding the best ways to engage customers. But if you’re not making the desired impact, it may lead you to ask how your top competitor is getting most of the available leads. Likewise, you may wonder what they’re doing differently, and whether you can do it too. Join Nicolas Darveau-Garneau as he shares a strategic look at winning strategies from some of Google’s biggest advertisers and unveils the top five secrets of all successful performance advertisers. If you know your going, sign up now before the rate goes up, and this member link gives you an additional $100 off.